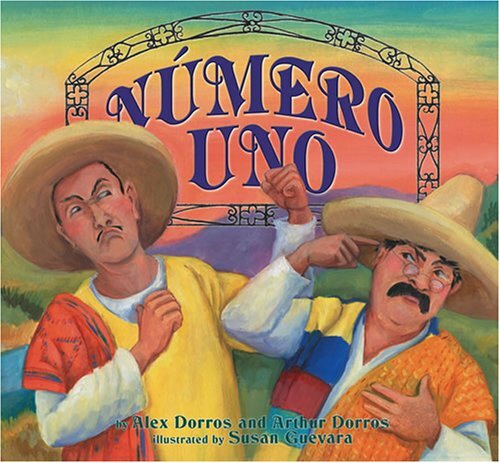 .A bilingual picture book that will be #1 this spring! "I came up with the idea for N�mero Uno in sixth grade when the class was asked to write fables. I thought that these two characters, one with outstanding intelligence and one with exceptional brawn, would together create an entertaining story. It could also carry a valuable lesson, as fables do. The story was originally set in China, but to me it is universal. We later decided to change to a Spanish-speaking setting, which I am more familiar with. "I grew up bilingual, speaking English and Spanish, and have visited many Latin American countries, including going to school there for a short while. I'm now sixteen years old and am enjoying living in Seattle. I spend much of my free time going to the nearby mountains (like Hercules and Socrates do in the book), in my case to snowboard. I also create my own stories through taking photographs, a few of which have now been published. I stay busy with playing baseball and going to high school.